Badfish Roller Derby would like to invite you to meet our two new home teams in their premier bout. Come watch THE SALTWATER SEA HAGS and THE KILLER KRAKENS battle it out for bragging rights of our home turf. Badfish Roller Derby’s events are for all ages and are action packed! Doors open at 6:30 PM, bout starts at 7:30 PM. Family friendly event, so bring the whole bunch!! Presale will be available soon!!! Click here to visit our bout page on Facebook! Join our mailing list to get the latest updates about Badfish Roller Derby news, bouts, skaters, and more! 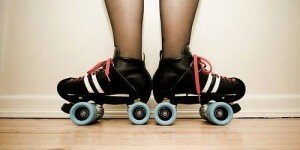 Join Badfish — Play Roller Derby! Check our 2019 bout schedule! This Saturday June 2nd! Badfish Roller Derby vs. High Tide in Cypress! What’s new for Badfish Roller Derby in 2018! Badfish Roller Derby (BFRD) was founded in late 2013 by a group of enthusiastic, dedicated men and women who are determined to see roller derby succeed in Long Beach, California.